Once again Albert has been skiving! As he hears Harold come home, he jumps up and starts banging the broom against the sideboard. But Harold can see right through it. But Albert keeps the pretence going... he's been working all day, never stopped... only to be caught out when Harold notices the deckchair is warm... Albert implies it was the cat from next door, but Harold sees right through him. After some compulsory daily arguing, Harold starts preparing some food he has brought home. It's not the usual fish and chips and Albert is suspicious. 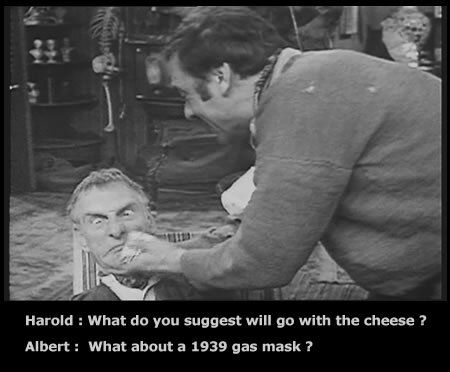 Harold gives his Dad a bag of crisps and tells him to shut up, or he'll force some smelly cheese upon him. Soon Albert gains the upper hand and finds out that Harold has friends coming round... for a game of poker! Albert takes immediate exception to it - he shows Harold an unopened pack of cards that his mother - god rest her soul - gave him thrity years ago and he's never played poker since... Happy Families is alright though, he'll allow them to play that! The old man's hypocracy is soon outed when Harold reveals that his Dad does the football pools every week. Albert insists his gambling was always controlled, and Harold never went without food as a child, prompting Harold to give the heartbreaking line "I didn't get rickets from over eating, did I? ", which Ray Galton would later say was his favourite line from Steptoe and Son. 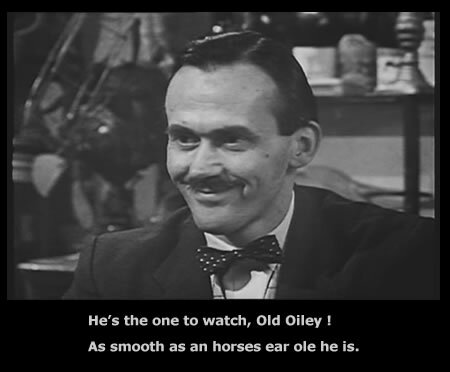 Later that night the men arrive, on of who is played by the fantastic Dudley Foster, who also appears in "My Old Man's A Tory", "Robbery With Violence" and plays an uncredited non-speaking role as the car salesman in "The Colour Problem". 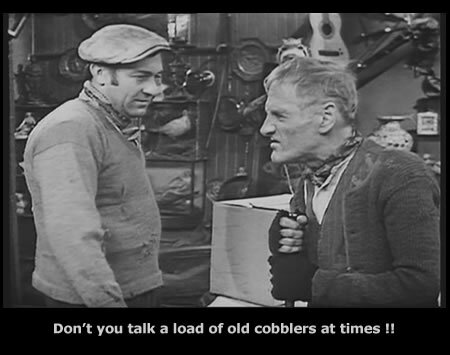 His character soon gets nicknamed "Old Oily" by Albert. "Smooth as an 'orses ear-'ole he is!" Harold has arranged a card evening with his new friends. Albert is far from pleased. Will Albert get his way and spend the evening playing Happy Families. Buy this DVD to find out.